6Sigma.us offers a two-day Six Sigma Yellow Belt training. This specific training provides you with comprehension of the fundamental methodologies utilized for Six Sigma problem solving. The Six Sigma Yellow Belt training course covers a few of the basic improvement procedures and their necessary metrics. In the case of many organizations, the person who has a Yellow Belt certified training is also an SME or “subject matter expert”. He or she can become a central team member on an individual project or multiple projects. Participants in this class will become familiar with the fundamental tools associated with Six Sigma roadmap. The goal of the Yellow Belt training is to give students the necessary tools required in order to become a valuable player within a company’s larger goals and objectives. Six Sigma Yellow Belt graduates contribute to a company by playing a supportive role in the larger Six Sigma Process. These individuals understand the concepts used to collect critical information on processes and allow other Yellow Belts to gain knowledge and experience in the problem-solving process. Everyone’s comprehension of the process is an integral part of improvement methodology. 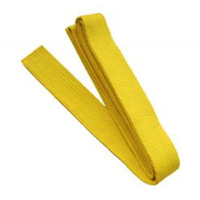 Yellow Belt-certified trained individuals have the job of locating, controlling and watching out for possible monetary loss in any area of the company, and report this kind of information to Green Belts and Black Belts residing within the company. The Six Sigma Yellow Belt course from 6Sigma.us is a two day course. Class times are 8am – 4:30pm, Tuesdays and Wednesdays. We recommend combining the White + Yellow Belt for a full overview of Lean Six Sigma as well. This may be done during check out for a reduced rate. White Belt precedes Yellow Belt the day before. An Adobe PDF of this specific information is available. To receive a copy, please send an email with “Yellow Belt” in the subject line to yellowbelt@dmaic.us.